The fig-monkeys strike again! We’ve got a basket full of figs and a week of posting fig recipes for this fabulous bumper-crop. 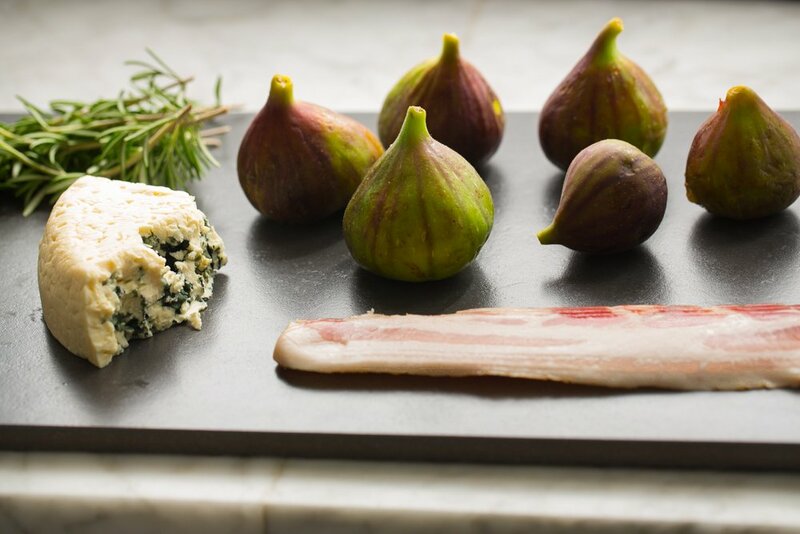 Figs, please meet your new friends: Gorgonzola, rosemary, and bacon. We have a feeling you’ll all get along just fine. Divet the figs for the proper introduction of Cheese. Cut the rosemary springs on the bias so that they make a nice sharp skewer. 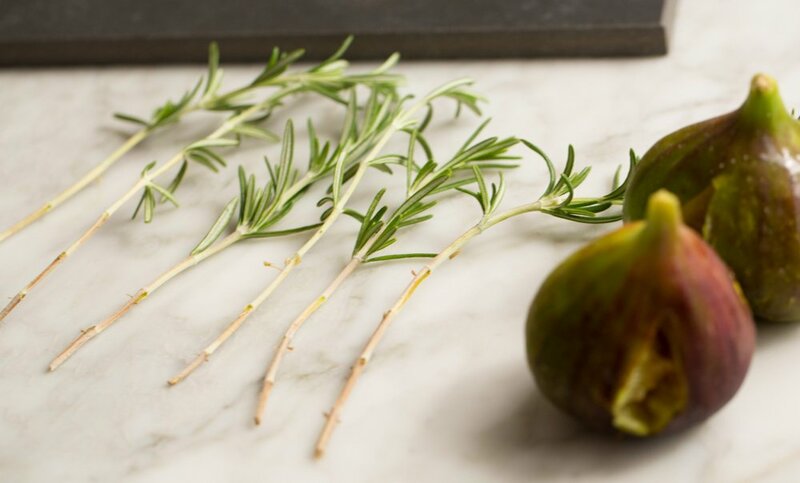 Strip the lower leaves from each rosemary spring by running your fingers down toward the cut end. 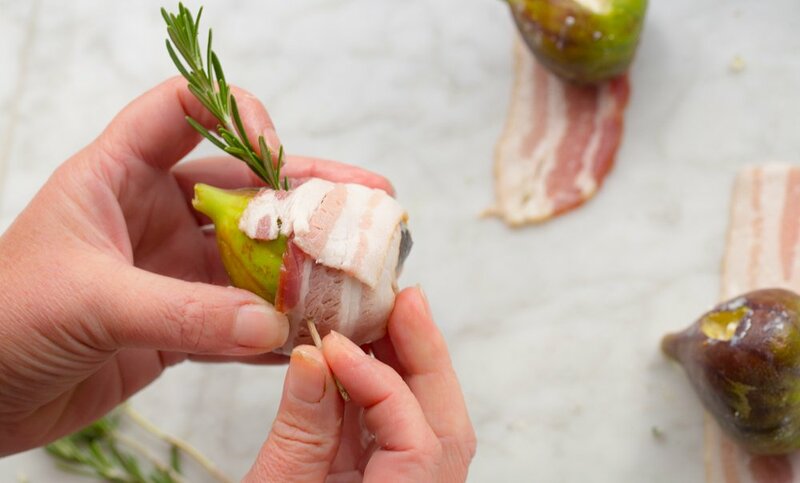 Once the figs are stuffed, wrap in them in bacon and secure each slice with the skewer. We baked right on in the toaster oven, on the “whole-y” tray, so that the bacon fat would drip down through the holes. 450°F will do it, for about 15 minutes until the bacon cooks all the way through. Messy to eat? Guaranteed! 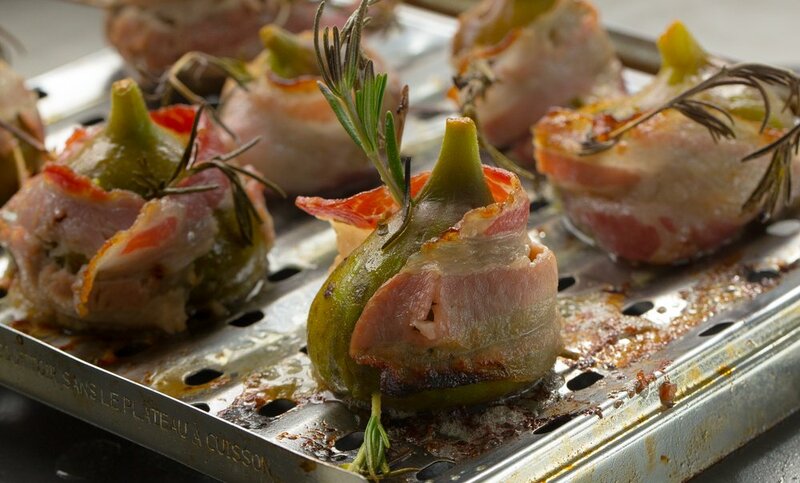 Serve on a plate with a fork and knife, or place in a nest of arugula as a dressed-up salad.